Product Stewardship is an evolving and expanding area of concern and opportunity for companies and society. There are an ever-increasing number of individuals with “Product Stewardship” in their title and responsibilities within the organizations they support. However, there has not been a concise reference of professional practices for this highly important responsibility in maintaining an organization’s “license to operate” with the public. 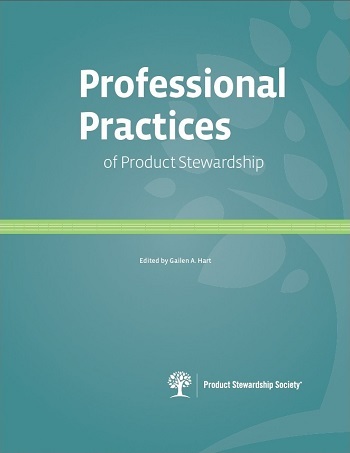 This publication provides deep insight into the core areas of product stewardship, including the fundamentals of product stewardship, product risk management, product life cycle management, management of product compliance and liability, and product stewardship strategy and program management and offers guidance and support to both those new to product stewardship and those who have been involved for many years.